Subject: LongIsland.com - Your Name sent you Event details of "Opera Night in Lindenhurst"
Opera Night, Long Island had its humble beginnings as an “opera open mic” in a small café in Northport. Its current form brings audiences professional singers, who are performing the leads in operas in NYC and across the globe. How grateful Opera Night is to everyone who has participated and attended along the way! At its origins, we could never have guessed our series would attract such a sought after troupe of stellar emerging artists. 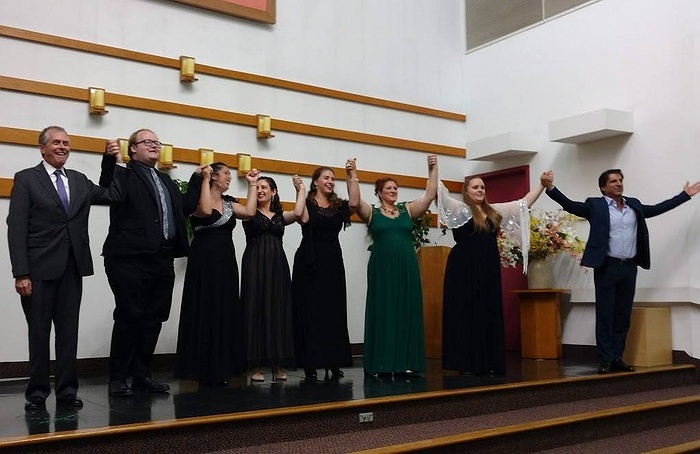 ONLI is coming to Lindenhurst, NY to showcase a number of professional, successful opera singers who graduated from Lindenhurst High School, as well as one aspiring singer who I currently attending pre-college at Julliard in addition to her schooling at Lindenhurst High. You can not miss this spectacular event! 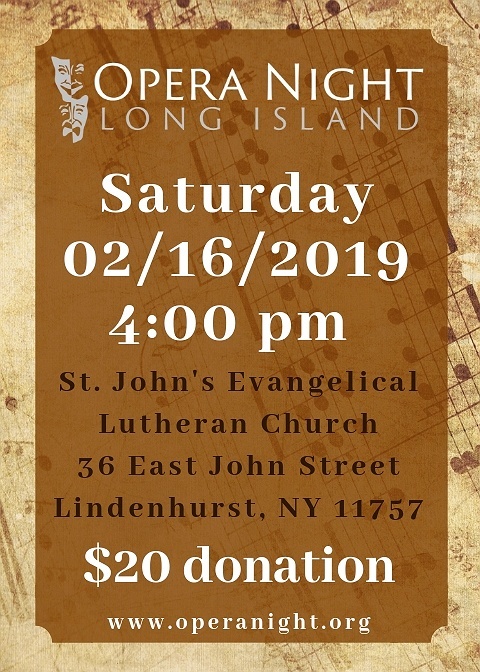 Come down to St. John's Lutheran Church at 36 East John Street, Lindenhurst, NY on Saturday, February 16th, 2019 at 4pm. Please email ddavis.operanight@gmail.com or call/text 631-921-9604 with any further questions. We look forward to seeing you there!